Plants vs. Zombies: Garden Warfare was a great first entry in the series, but it was lacking in the single-player category. This time out, PopCap is giving the solo modes a boost. Solo Play now lets you form a team of four characters, with the other three controlled by the AI. You’ll be able to hot-swap among them with the D-pad, so if you need to take advantage of a particular plant’s abilities, you won’t need to rely on a computer-controlled ally. Last week, I had the chance to spend a couple of hours playing Firaxis' follow up to 2012's XCOM: Enemy Unknown. While fans of the last outing will find familiar elements in the new game, XCOM 2 shakes up the experience by adding new features and a race against the clock. XCOM 2 takes place 20 years after one possible conclusion to Enemy Unknown. The secretive military force has lost and Earth is now under the control of the alien forces. Rather than rule through might, the invaders have taken on the appearance of benefactors. They've built cities, cured disease, and eliminated most crime. Under the surface though, sinister experiments and disappearing people suggest a darker purpose. The game's opening throws players into the tactical segment, commanding troops. One of the biggest changes is immediately front and center. Players begin each mission concealed. If handled properly, you can announce your presence with an overwhelming show of force. This is handled by carefully moving troops into position, setting most of them up in overwatch, and then taking your first shot. The result is a unified attack on enemy positions that can even the odds. Whitebox Interactive has entered the MOBA fray today, bringing the Warhammer 40,000 universe into a now well-worn genre. Dark Nexus Arena is available on Steam as an Early Access title. The fight includes representatives from many of the universe’s races: Space Marines, Eldar, Orks, and Necron. With the launch of Early Access, a new mode is also making its premiere. Magic: The Gathering fans are used to tapping lands to cast spells. Tomorrow, they’ll have the chance to tap touchscreens instead, as Magic: The Gathering - Puzzle Quest makes its debut on mobile devices. In addition to the match-3 gameplay upon which the Puzzle Quest series is built, players will be able to craft their own decks of cards. It’s not entirely clear how this will factor into gameplay yet, or how Magic’s five-color system will be expressed in this new game. You don’t have to go far these days to be bombarded with superheroes or hear the word “Marvel.” The Disney subsidiary’s creations are an iconic part of pop culture, and we continue to be enamored with every facet of these characters. That’s part of what makes Traveller’s Tales' Lego Marvel’s Avengers so exciting. This team captures the love and detail of these beloved heroes, packing in as much content and fun nods to the franchises as possible. If you thought Lego Marvel Super Heroes delivered on all fronts, prepare for Lego Marvel’s Avengers to trump it, as Traveller’s Tales is constantly out to make every game better than its last. After seeing the game in action at PSX, I broke down what’s so cool about the new entry that’s out on January 26. Cd Projekt Red has released the first two screenshots from Blood and Wine, the upcoming expansion for The Witcher 3: Wild Hunt. The screenshots themselves don't reveal any plot information, but they do showcase some lovely fantasy architecture and more of The Witcher 3's visual charms. Blood and Wine is the second big expansion for Wild Hunt. 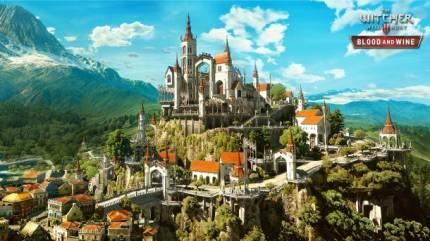 According to the developer, the expansion will be a " 20-hour tale that will introduce the all-new in-game region of Toussaint, and will take Geralt to a land untainted by war, where an atmosphere of carefree indulgence and knightly ritual masks an ancient, bloody secret." Blood and Wine is slated for a 2016 release. The first DLC, Hearts of Stone, was released in October to glowing reviews and editor Kimberly Wallace found it to be a worthwhile journey for fans of the main game. 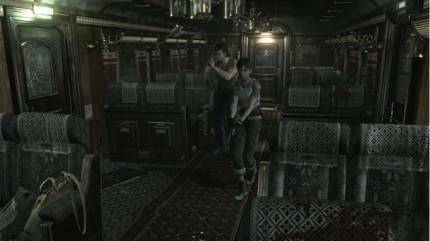 For those who don't want to pick up Resident Evil 0 HD as part of the upcoming compilation with the Resident Evil HD Remake, we finally know when its standalone digital version will come out. Capcom revealed the release date in a new trailer posted today. The remaster will launch January 19, 2016, the same date previously announced for the PlayStation 4 and Xbox One disc release. Today's trailer also shared pre-order bonuses: Wolf Force Billy and Cheerleader Rebecca costumes.The standalone title will cost $19.99 compared to the bundle's price of $39.99, and is coming to the PS4, Xbox One, PS3, Xbox 360, and PC. The PlayStation Experience this weekend was rife with announcements and trailers, but sports fans have one of the biggest takeaways. Developer Sony San Diego has announced MLB The Show 16 for both PS4 and PS3, due out in early 2016. The newest addition to the game, due out on March 29 next year, is the "Showtime” feature, which allows players to slow down gameplay for critical precision. Examples of such uses include diving plays, third base reactions, and batting. Road to the Show mode has also received some revamps. A redone training system allows players to unlock gameplay perks as they play. For the first time in the series, players can also avoid navigating the main menu between Road to the Show games. Night Dive Studios, the developer behind the restored editions of System Shock 2 and 7th Guest, announced back in August they were adding both Turok: Dinosaur Hunter and Turok 2: Seeds of Evil to their lineup of upcoming game remasters for PC. Silent about both titles since the announcement, Night Dive has revealed three new screens from the remastered version of the first game on their Facebook page. Alongside polishing both System Shock games, Night Dive Studios recently purchased the rights to the franchise and is currently working on a remake of the original game. Night Dive also attempted to develop a remaster of the classic first-person shooter No One Lives Forever, but has since moved on to other projects. Originally released in 1997, Turok: Dinosaur Hunter was one of the Nintendo 64's first first-person shooters. A bloody and goofy shooter, Turok was both a critical and commercial success, paving the way for a number of sequels and a reboot of the series in 2008. Neither remaster has a release date yet, but if you want to ride a raptor down memory lane, you can check out our Replay episode of the first game here.